Six Russian crewmembers kidnapped from a vessel off Guinea last month have been released. The Russian Embassy in Nigeria said on 30 January that all the sailors are alive and well. They were part of 24 crewmembers aboard the MSC Mandy, which was underway in the Gulf of Guinea on 2 January when she was attacked and boarded some 55 nautical miles offshore of Cotonou, Benin. At least half a dozen armed pirates boarded the ship, ransacked it and took the six hostages. The attack was first reported by the Maritime Domain Awareness for Trade – Gulf of Guinea (MDAT-GoG), a NATO partnership operated by the French and British navies. After the attack, the remaining crew sailed the vessel to a safe port. 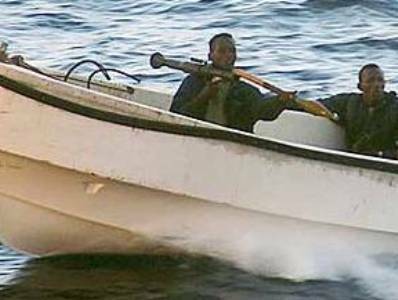 According to the International Maritime Bureau’s Piracy Reporting Centre, pirate attacks increased in the Gulf of Guinea in 2018. During the year, the IMB recorded six hijackings, 13 ships fired upon, 130 hostages taken, and 78 seafarers kidnapped for ransom.